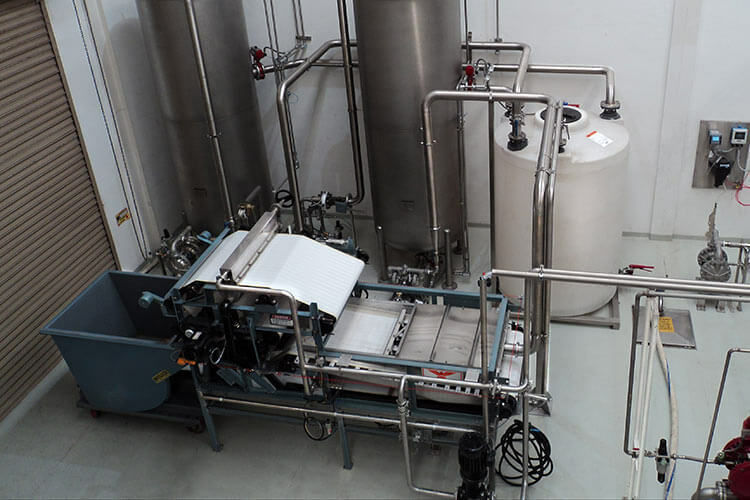 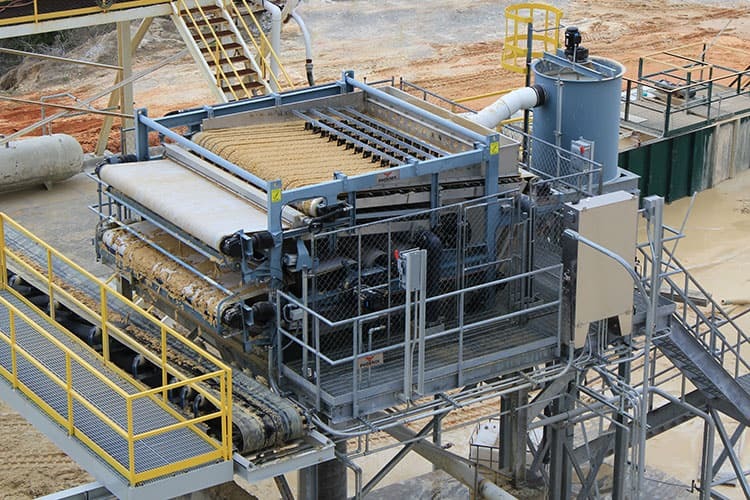 The PHOENIX Belt Filter Press dewaters slurries of pre-thickened solids from a pumpable liquid phase to a solid, conveyable, and stackable cake. 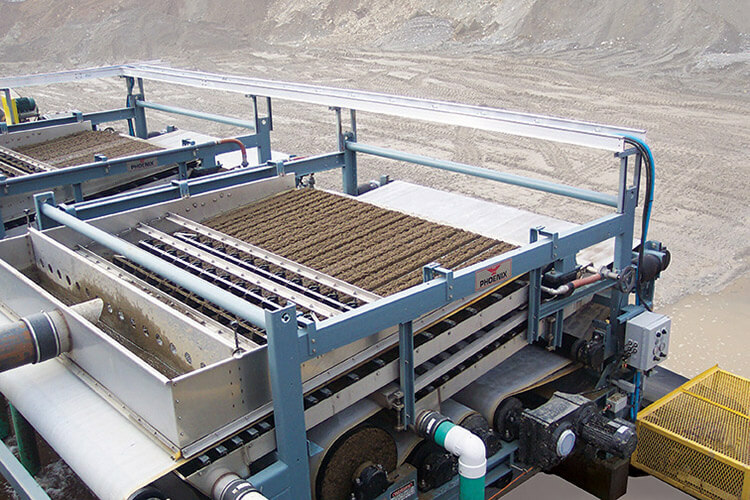 Over 30 years ago, PHOENIX belt presses were applied for dewatering thickened tailings resulting from mineral washing processes. 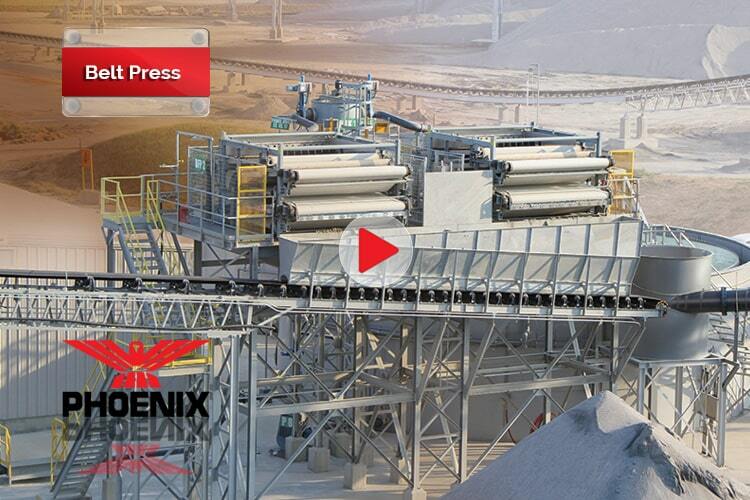 Today, belt filter press dewatering remains a preferred technology in the construction aggregate, mining, industrial and municipal markets. 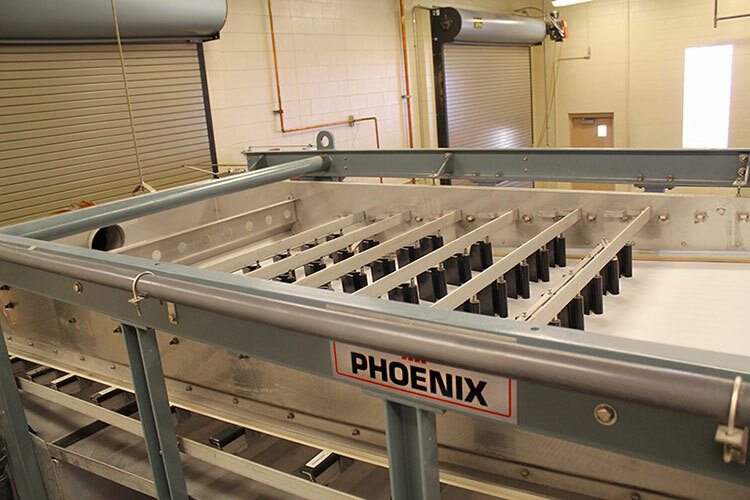 The PHOENIX belt filter press is available in several different configurations, each suited to the specific application. 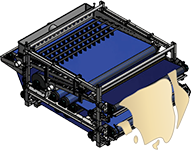 The model WX is designed for rugged industrial applications and include features such as a fully welded mainframe, oversized bearings, unique corrosion protection, and multiple compression zone configurations. 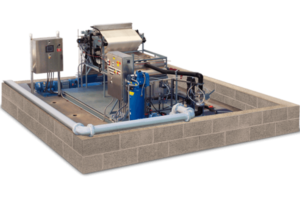 The model LC is a compact model that provides a lower cost dewatering solution for smaller applications. 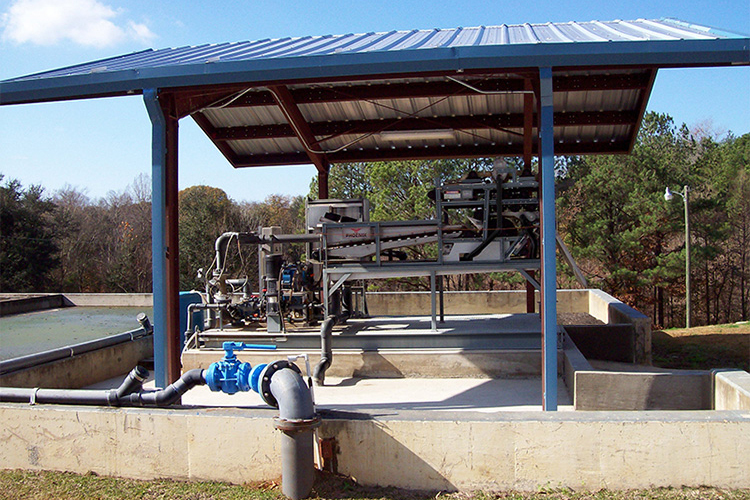 Most applications require the addition of polymers to the slurry prior to dewatering. 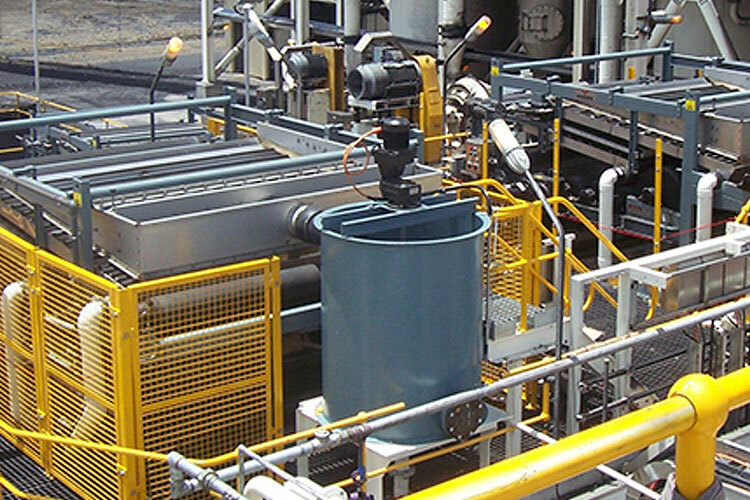 Slurry is fed to specially designed head box, where the material is evenly distributed for more efficient use of the filtering area. 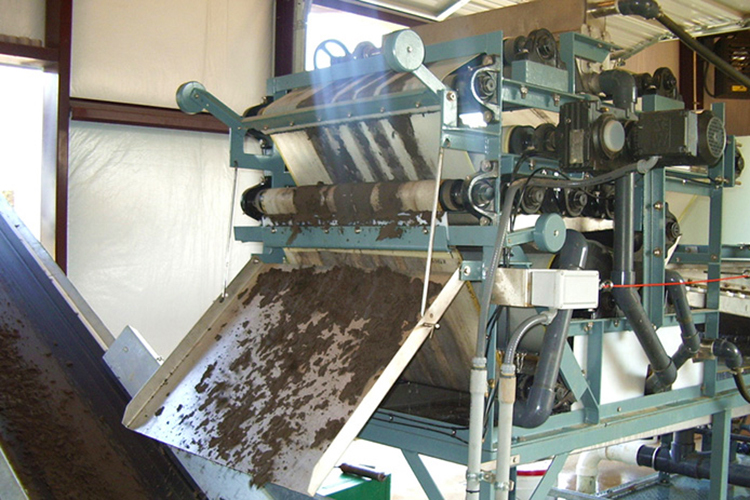 Free moisture is separated from the solids by drainage through the moving filter belt. 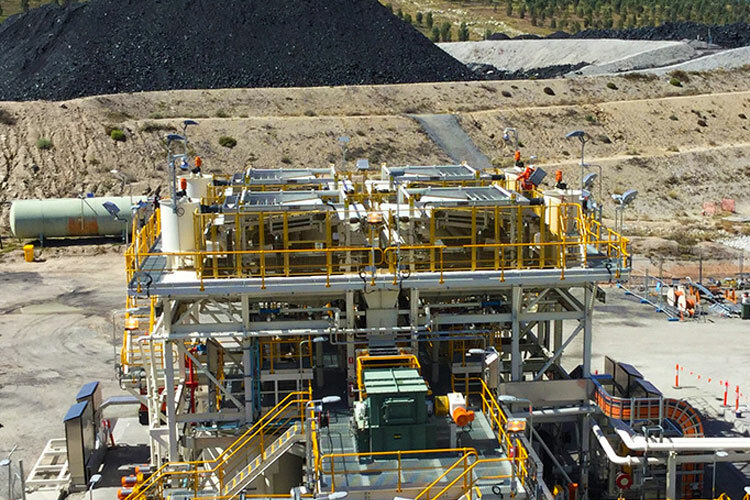 Material Advancing from the drainage zone is deposited into the adjustable wedge zone. 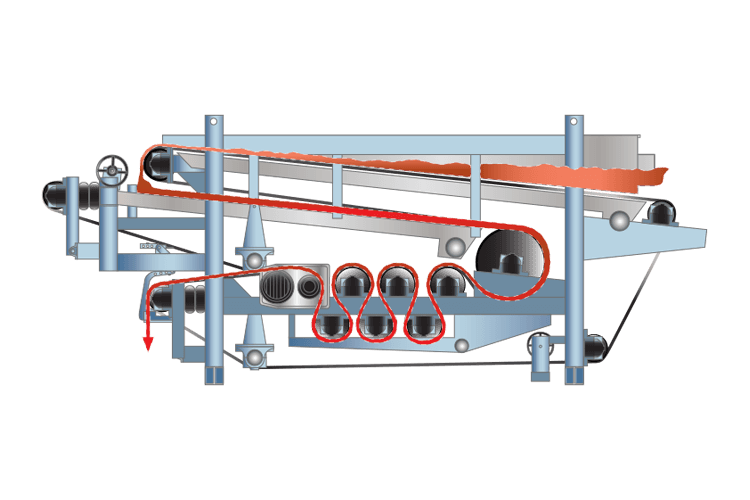 Pressure is gradually applied as the upper and lower belts converge to form a cake sandwich. 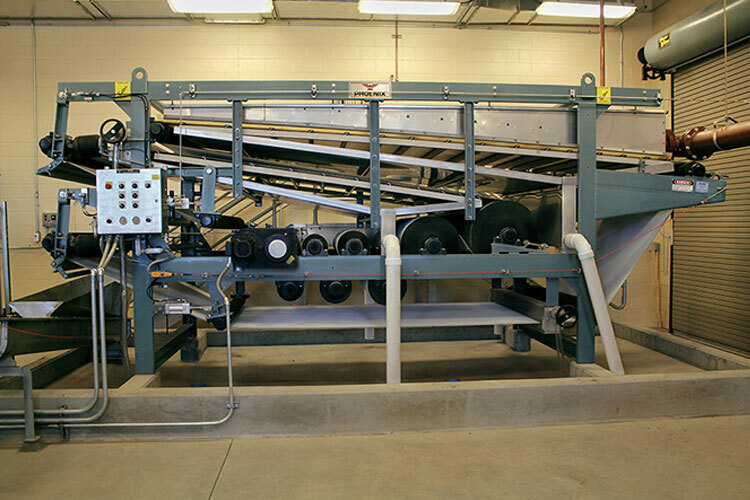 Belts follow an 'S' Path through a series of compression rollers. 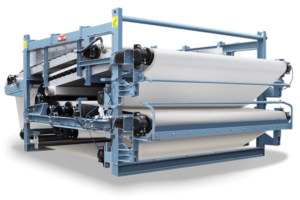 Surface pressure from belt tension squeezes additional moisture from the solids. 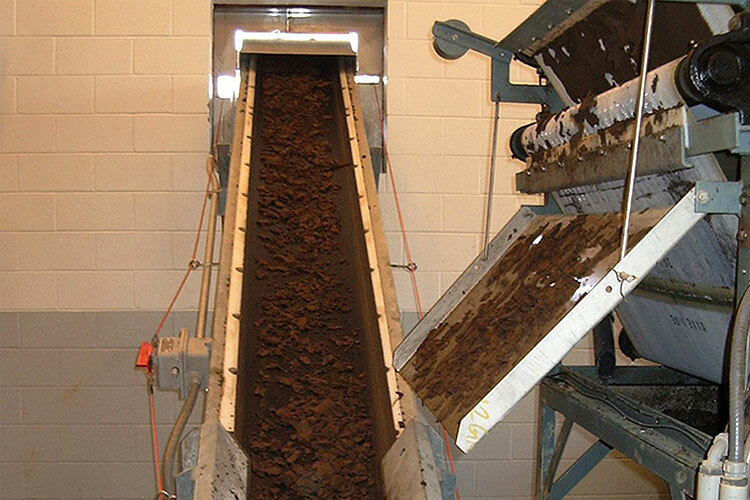 Dry cake is separated from the belts by doctor blades and is discharged.